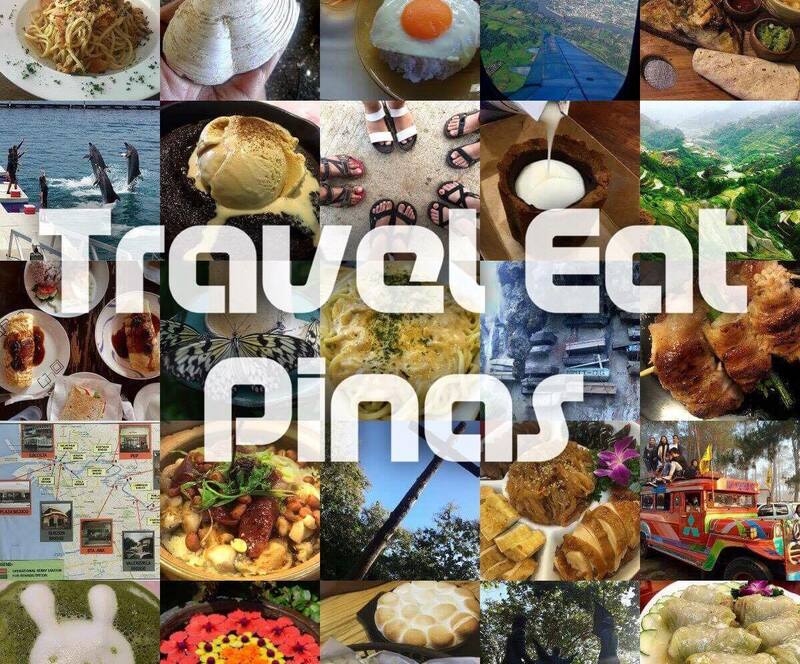 Home / #NomNom82K / goodiesreview / Skinnie Biscotti / Town 82K Cookies / Town 82K Philippines / travel eat pinas / TrEaPh / TOWN 82K COOKIES IS NOW IN THE PHILIPPINES! TOWN 82K COOKIES IS NOW IN THE PHILIPPINES! Yesterday, I went to Tag Media's BlogEx Manila and came across Town 82K. This is the first time that I heard about the company and the cookies and biscuits that they cater. I was so curious about Town 82K. Luckily Mr. Sau Liang GOH, Business Development Manager of The Cookie Factory, and Jefferson Marcelo, Marketing Specialist of Scanasia Overseas Inc., passionately inform me about The Cookie Factory and their products. According to them Town 82K is part of The Cookie Factory, TCF, portfolio intended for Fast Moving Consumer Goods (FMCG). The Cookie Factory is based at Johor, Malaysia and is one of the prestige manufacturer of premium cookies and biscuits with 22 years of experience in confectionery manufacturing business. TCF started in 1898 when their founder, Madam Lee, was baking cookies for her love ones and since the former are delicious people from across Singapore, Johor, Bahur and Kuala Lumpur started to order Madam Lee's cookies. By 1991, Madam Lee set up Madam Ling's Homemade Cookies to meet the flourishing demand of her cookies and by 2006 they re-brand Madam Ling's Homemade Cookies and changed the name to The Cookie Factory. To date their products are exported to Australia, Hong Kong, Korea, Taiwan, New Zealand and now in our country- Philippines. TFC is also committed in giving safe and quality products and this can manifest with their strict compliance with GMP, Good Manufacturing Practice, guidelines and their state of the art facilities and process are certified by HACCP, Hazard Analysis and Critical Control Point, and is accredited by MHO, Ministry of Health Malaysia, to be Export Ready. 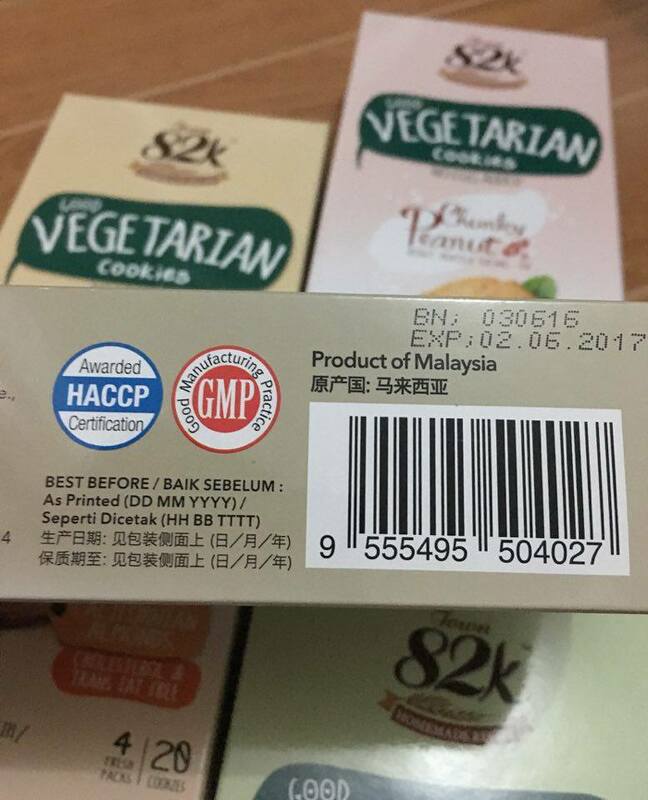 Malaysia Halal Development Board also certified their biscuits and cookies as Halal products. Town 82K products have premium packaging. 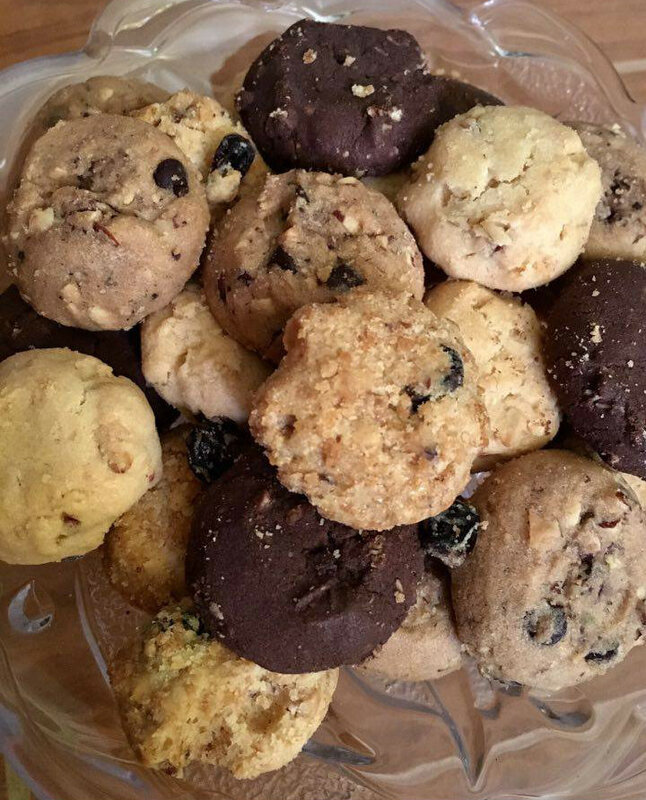 Each of the four bite size cookies are placed in a plastic container and freshly sealed in a sachet. Four set of sealed cookies are then placed in a box. Town 82K Cookies is composed of two set of cookies, the American Recipe and Vegetarian Cookies. For the American Recipe, this includes the Cranberries Oatmeal Cookies, Wholemeal Raisin, Pecan Nut Chocochips and Chocolate Almond Cookies. 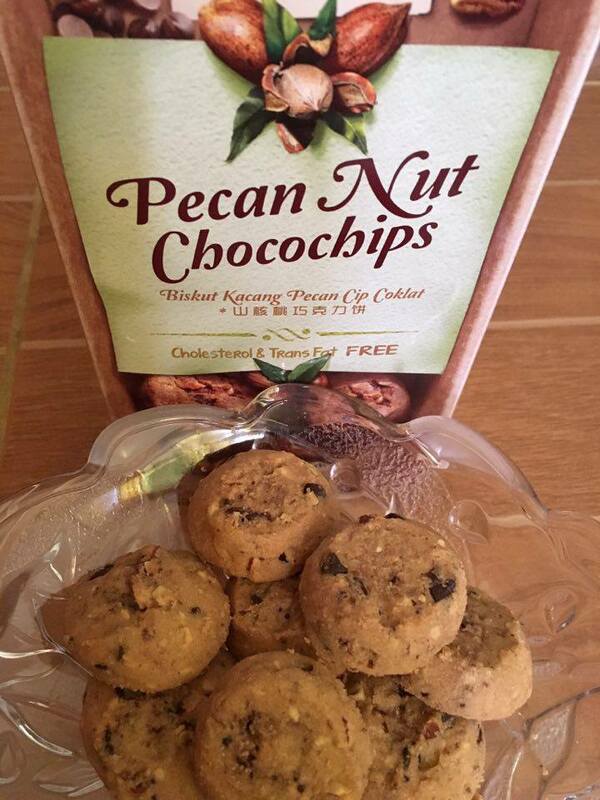 Pecan Nut Chocochips Cookies has a chocolaty flavor with bits of pecan nuts. A box of Pecan Nut Chocochips, which has 4 sachets or 16 cookies is at PHP 90 or USD 1.87. Wholemeal Raisin Cookies has almond, cashew and raisins. This cookies has a nutty, fruity and buttery taste. 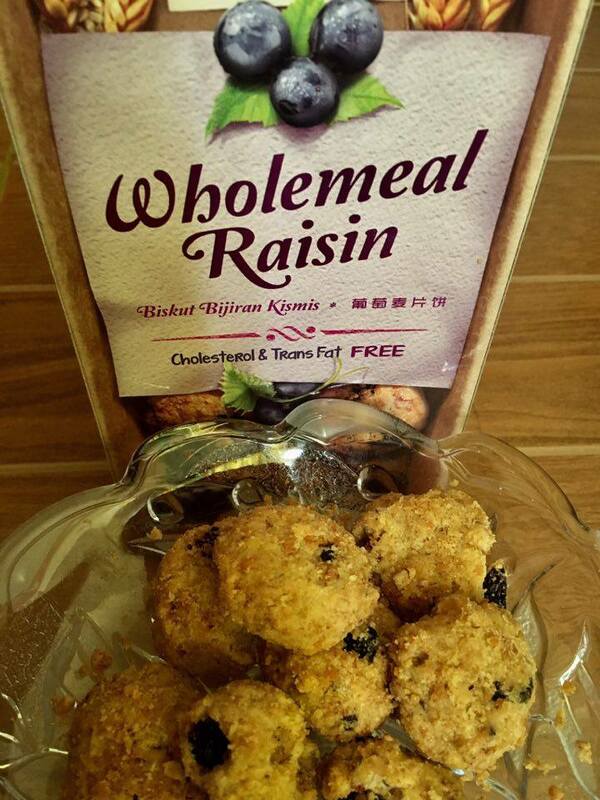 A box of Wholemeal Raisin Cookies, which has 4 sachets or 16 cookies is at PHP 85 or USD 1.77. Chocolate Almond Cookies tastes like brownies with almond. A box of Chocolate Almond Cookies, which has 4 sachets or 16 cookies, is at PHP 74 or USD 1.54. Among the four that I tasted, my favorite is the Cranberries Oatmeal Cookies. I love it's sweet and fruity taste and smell.The cookies are bite size but looks prestige like it's packaging. 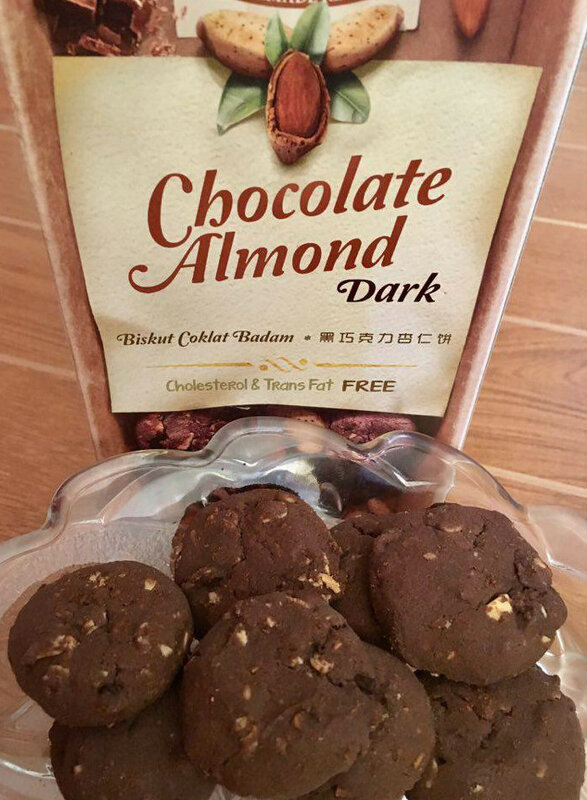 You can serve this as dessert or welcome treats during parties or treat yourself for some delicious and healthy cookies that are rich in dietary fiber. It also has an affordable price. You can get a box with 16 cookies for about PHP 74 to 90 or USD 1.54 to 1.87. No I am a junkie for pecans! I so want to try these! These all look absolutely divine!!! Now I want to go grab some cookies!! I love cookies and these look so good. I like that some are vegeterian. All of their products look delish and with the pakaging being so nice, I can see them being great hostess gifts. What a delicious selection of cookies to enjoy! I like the cranberry oatmeal ones especially. What a great selection of cookies! Every one of them looks so yummy! If I haven’t done so, I would love to invite you over at Blogger Spotlight Link and Pin-it Party! It runs every Thursdays, 7pm PST until Tuesdays, 7pm. It is still live! You are also invited to join our collaborative group board on Pinterest. Hope to see you there! They are so yummy, chocolate almond are my favorites! These sound like amazing cookies!! I love a cookies, I am not sure I would be able to snack on just one. look so yum and bitin. I can shoved it in my mouth in one sitting. Love the whole wheat cookie tho! If its from The Cookie Factory then its all good! Would love to try that cookies very soon, i hope they're available here in our nearest SM supermarket..
Those photos are great! The cookies look so good, wish I could try! Those cookies look so delicious! I want to try them all. These cookies look so divine. I love dark chocolate, so I guess I will have to try the Dark chocolate almond first. The pecan chocolate chip would be my second choice. Come to think of it, I want to try them all! Sounds like an awesome brand of cookies. I really like the chocolate almond especially since it's dark chocolate. I would love to try these, perfect for the afternoon with your favorite cup of coffee or tea. These cookies are interesting! 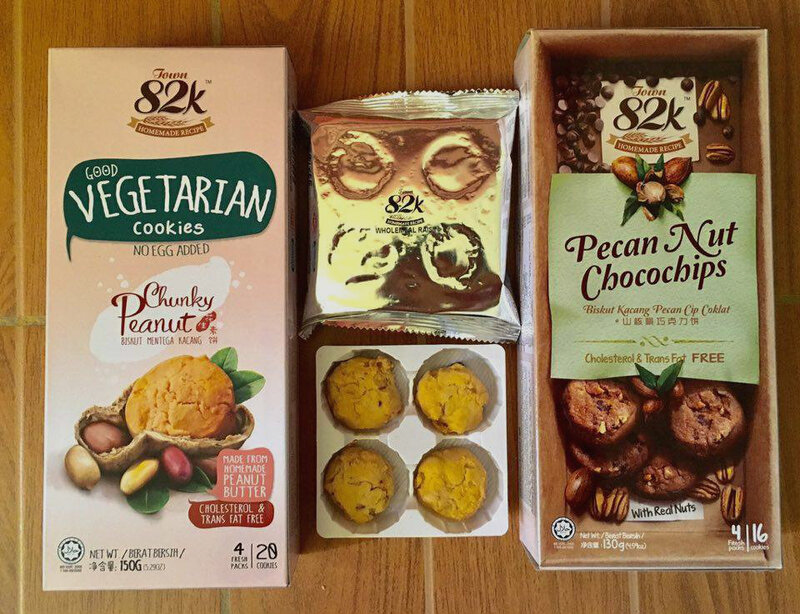 I have never heard about them but seeing that they are vegetarian cookies made me excited! I'm not a vegetarian, my partner is, but I love eating vegetarian food! I'll look for this in the supermarket! I'm a big big fan of cookies. I already messaged them if they ship to province. I remember asking my sister to go to Mrs. Fields in the wee hours of the night for cookies. It's also one of the food I crave when I was pregnant. It literally looks like the perfect place for cookies. It certainly beats Ben's cookies any day I have to say. Mmmm delicious! I didn't hear about vegetarian cookies before. They do look lovely and I bet they are delicious! I would love to try the cranberry ones! Oh, this is very interesting. I am so glad that vegetarian cookies are now in your country! I am so glad to hear this! We love eating cookies but I am so worried about the cholesterol levels! 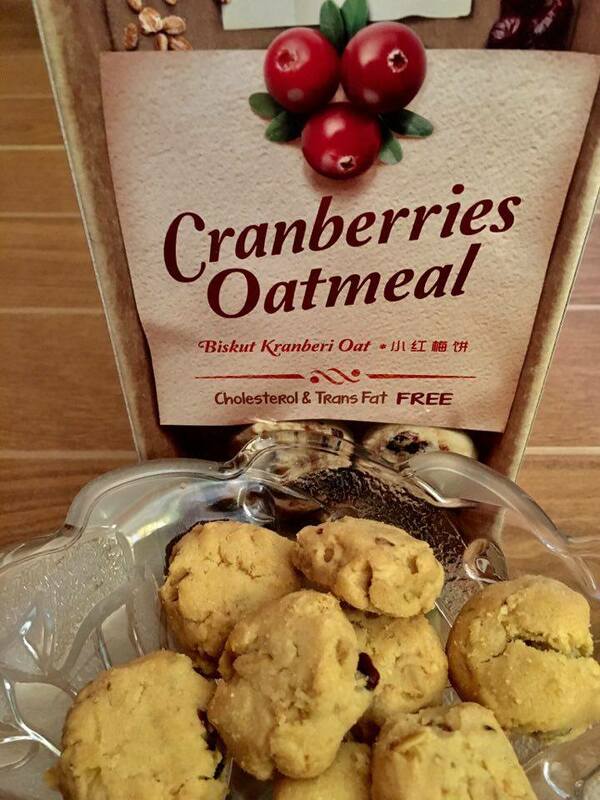 That cranberry oatmeal cookies look so yum! Hope I can find that here somewhere! It is available on leading supermarkets nationwide and in Mercury drugs. Wow these look delicious! And so many different flavors! This is just mouth-watering... and eye-watering, I wish I tried it! Hahaha. I love how it feels homemade, and how it has various flavors. oh, my goodness! I would love to try all these. Thanks for sharing! OMG!!! these cookies look so yummy!! Must give them a try!!! Town 82K products look so delicious. I will have to get some to try. My family will love them. All of those look and sound so delicious, I wish I could have some right now. I know my kids would love these. Wow. The cookies all looked so delish! Will definitely try it when I pass by a supermarket. Want to try the Vegetarian and chocolate almond variant. And for the price, I think it's sulit na. looks good, havnt really tasted this before. This cant be found in nigeria. I love cookies and this one looks yummy. I would love to give it a try. I am a vegetarian and a cookie lover too! Its always good to know that there are delicious options for vegetarians! OMG! It looks delish and what I love the most is that it's healthy! Can't wait to try it!